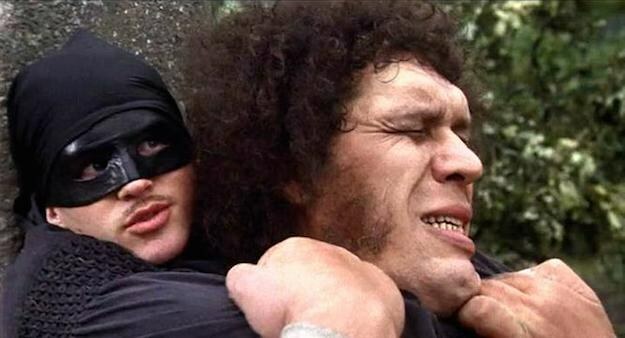 Fezzik, the giant, is wrestling The Man in Black, aka the Dread Pirate Roberts. Fezzik: I just figured out why you give me so much trouble. The Man in Black: Why is that, do you think? Fezzik: Well, I haven’t fought just one person for so long. I’ve been specializing in groups. Battling gangs for local charities, that kind of thing. The Man in Black: Why should that make such a difference? Fezzik: Well you see, you use different moves when you’re fighting half a dozen people than when you only have to be worried about one. That’s good to keep in mind as we begin the year. Most of us are busy here at the beginning of the year meeting with and trying to build relationships with as many as we can. Using surveys and other gathering devices, we’re trying to find the most interested students. Rather like Fezzik’s strategy of one on the many. But we want to help our students understand that the critical event is one believer engaging with a nonbeliever over meaningful spiritual content. Every student is a part of different social networks, or oikos’— where they live, their program of study, where they work, and other associations. Suppose they don’t find interested students within those social networks. Do they go someplace else for their ministry? No. We want to help them be salt and light in those oikos’. One place to begin is to map the level of interest of each person in each oikos, using the Missional Map. They will notice that the first step with each person they encounter is building trust. Next time, I will have some next steps for both the one on many and the one on one. This entry was posted in Evangelism, Friendship, Leadership, Spirit-Filled Life, Student Ownership on September 3, 2017 by Gilbert Kingsley.